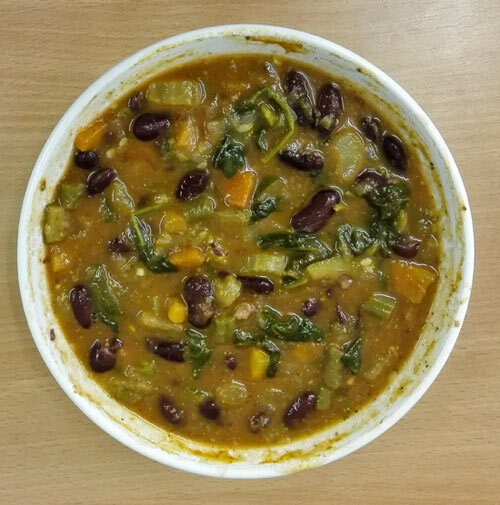 This recipe was born one day when I was in a mood to try something different. I’ve never made a miso soup before and I didn’t know how to make it. A quick search on Google revealed that miso soup is something quite easy to make. I decided to create my own version of miso soup based on the recipes I found online. 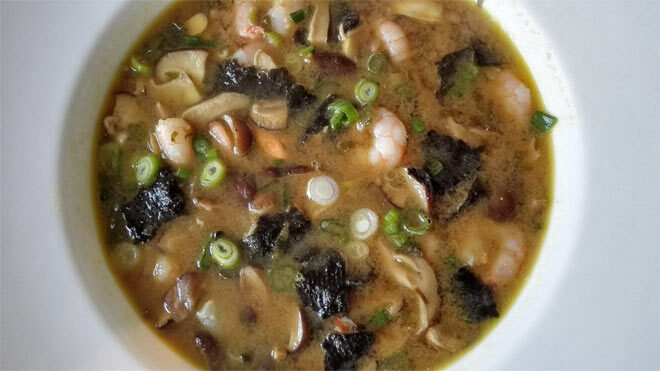 Usually, the miso soup is made with tofu but I decided to use shiitake mushrooms and prawns instead. Shiitake mushrooms are well known for their medicinal properties and you should try and eat them as often as you can. They are more expensive than the usual mushrooms but they are worth it as they help to fight obesity, support immune function and destroy cancer cells – these are just some of the benefits these mushrooms are known for. I buy these miracle mushrooms from Sainsbury’s but you can also get them in Tesco and Waitrose. If you cannot get the fresh ones, look for the dried ones. This shiitake & prawn miso soup makes a quick and healthy dinner which is also low in carbs, perfect for those who are watching their weight. Prawns are an excellent source of high-quality protein and contain no carbohydrates. They are rich in various B vitamins and minerals such as zinc and iron as well. If you are a vegetarian you could leave them out and use tofu instead although I am not totally sure how that would turn out. In my recipe, I use roasted seaweed, which is normally used for sushi but that’s what I found in the supermarket. Traditionally wakame seaweed is used in the miso soup and hopefully I will give this a go in the future. What I really love about this meal is that it’s so quick to make. It could take as little as 15 minutes before your dinner is ready, just be quick with the food preparation! Wash the spring onions and chop them. Also wash and slice shiitake mushrooms. If you are using frozen cooked prawns put them in a warm water to defrost. Put organic miso paste in a small bowl and add a little water. Whisk it until the miso paste dissolves in water. Heat the rapeseed oil on a medium high heat in a medium, tall saucepan. Once hot add half of the chopped spring onions. Gently fry for about half of a minute, then add sliced shiitake mushrooms. Cover the saucepan and let the mushrooms cook for a few minutes to release their water. After a few minutes uncover the lid, stir and cover the lid again. Shiitake mushrooms are quite meaty and require longer cooking than normal mushrooms so let them cook in their water for at least 5 minutes. If required, add a little water so they don't stick to the pan. 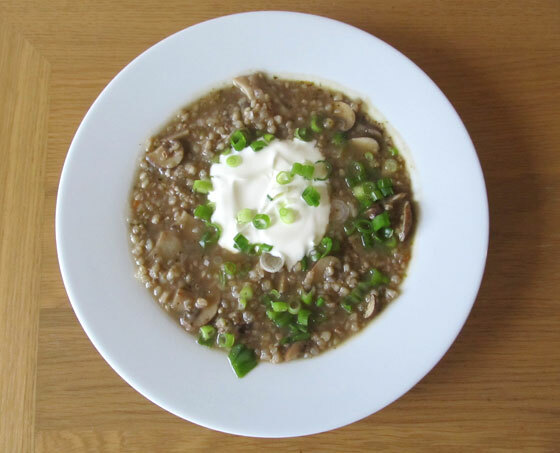 Once shiitake mushrooms have softened, add the miso paste which you have dissolved in a little water. Also add ginger, seaweed, the rest of the spring onions and prawns. Add additional water to make the soup more watery (but not too watery!). Leave it to cook on a small heat for a minute or so and it's done! Once served drizzle with tamari soy sauce, according to taste. Have you made miso soup at home before and how did it turn out? 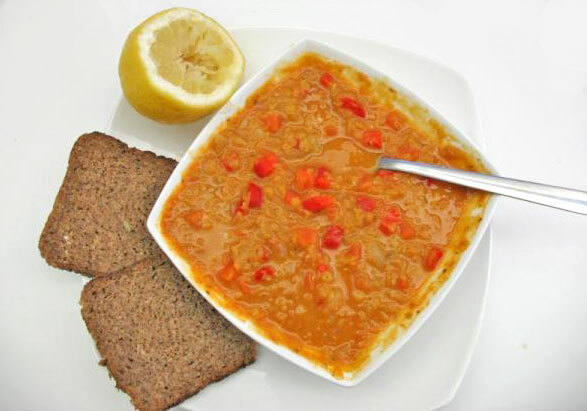 This is the next soup on my list to try making. I love it as it’s so quick to make. Let me know how it turns out if you do try it!